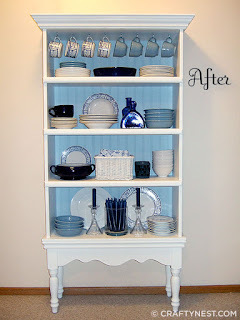 Upcycling Reimagining Repurposing Bookcase Coffee Table Paint and Trim! Welcome to LilacsNDreams! Wow! Where did this week go to? Halloween has passed, our first weekend for November is now by us, and the presidential elections are now past us too. Christmas will soon be here, and everyone is busy with Holiday preparations, shopping, filling our online shops, and making time for being creative too. I wish I would have copied it over here for ya'll to read, but I read a statement from Kovels little newsletter that I get periodically. This little letter shares about auctions, and what some things of interest have sold for, is informational, helps people with identifying marks and things with their items, and etc. In this particular letter received today they had made a comment about Recyling. They had noted how recycling is a trend. I believe them about this too. Through searching on the internet, watching what others share, and even your physical brick & mortar shops feature this within their shops that is often shared on Facebook too. This is something I found shared on Facebook that you will be viewing below. Have you ever had one of them shelves, or maybe a book case, or some other form of furniture resembling this that you maybe move from room to room, don't want to get rid of it, but yet know there is something else you could do with it? Below the pictures come from Crafty Nest, and from their post they did on Oct. 16, 2012 called Before & After, Blast From the Past . . . 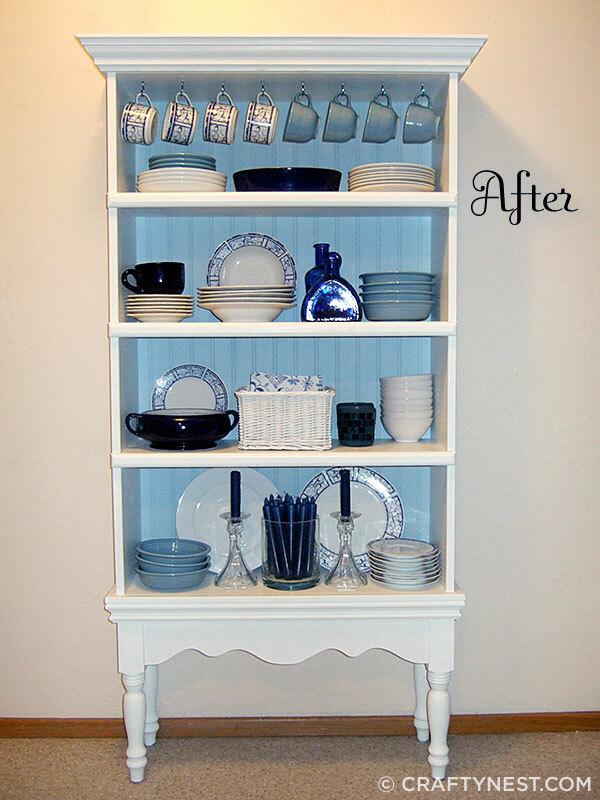 Plain Bookshelf = DIY Fancy China Cabinet. In this particular posting they share with you the before, and after of this item. They share with you how they did this piece, where some of the pieces were found, and etc. Is this not lovely what they did? If you are interested in this DIY project done with this book shelf, give their website a visit for further details. 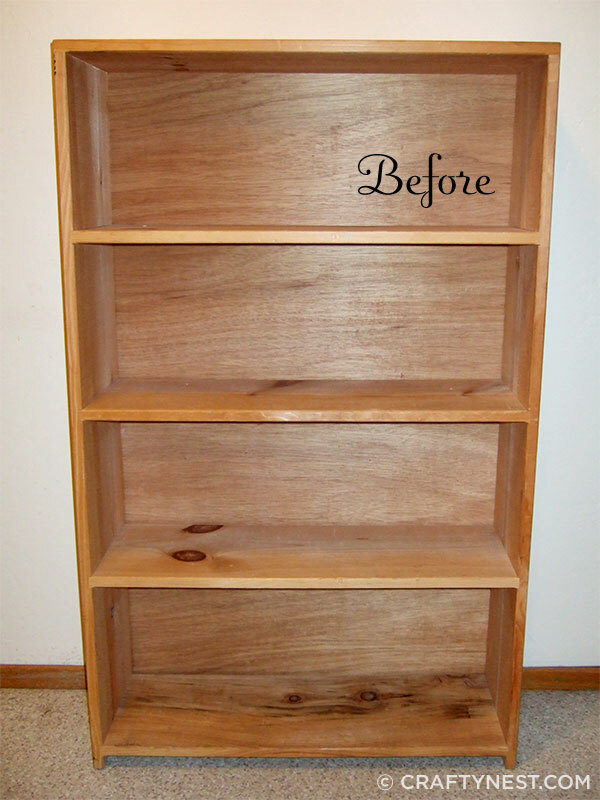 I hope that you enjoyed this DIY transformation of this book shelf that I am sharing with you by Crafty Nest. I hope it helps you with ideas of what to do with your own pieces, and that maybe this is also inspiring for some of you too. Repurpose, Upcycle, Recycle, and Reimagine is the trend of today. Thanks so much for sharing your time with LilacsNDreams, and hope to see you again soon. Take care, and hope this week ends well for you. Have a wonderful weekend. Till the next time . . . .